Yeah a lot of rocket bunny stuff looks really good, but there's something about the Juke that just looks really weird with small wheels to me, I really prefer the style of the Juke-R or even the bolt on fenders like you have and Mike Gorman's Insane Juke that Fast Religion built. Project Insane Juke was actually one of the things that made me realize "oh so I guess you can do really crazy things with wheel and tire setups on the Juke, maybe I should buy one already"
I did a lot of research on hatch mounted spares, but as the tires I was looking at got bigger and bigger, there was just no way in a million years it would work with any amount of support. The final 33 inch spare is going to weigh 90lbs on it's own, not to mention all the Cherokee's and such with full size spares look horrendous in even minor rear end collisions. 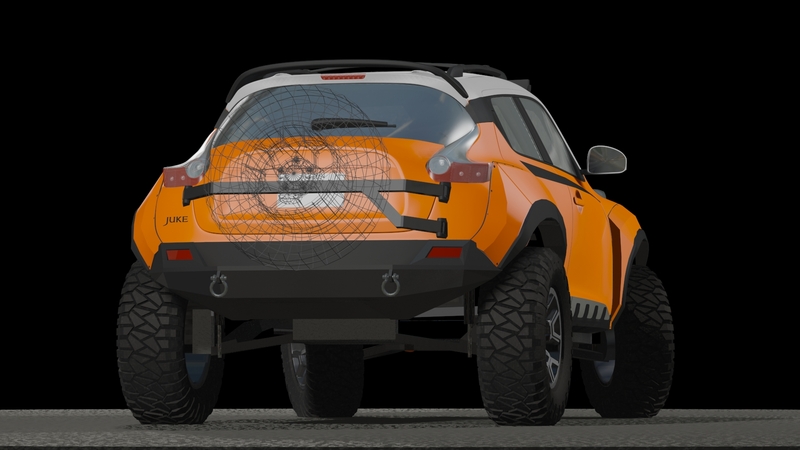 The current concept is actually a swing out tire carrier mounted through the plastic bumper into the body just under the tail lights. There are a lot of really good hitch mounted spare setups, but I figure if I'm going for an offroad build I should try and maximize approach and departure angle. Finally found time to measure suspension earlier. I was able to boil down the numbers into terms I can think about. Measuring for wheel travel, the rear was very impressive. All of these measurements are taken from the bottom of the fender arch to the center of the wheel. Current ride height is 18.375, Stock (Courtesy of some dude's Juke in a parking lot) 16.625. so those 45mm spacers got me 1.75" of lift, the math checks out. I unbolted the shock and sway bar link and the rear control arms dropped to a final distance of 22.625" from the fenders. For compressed height, I'm creating a target, which is the radius of my final tire setup (16.5" for 33's) subtracting the fender flare itself for when I cut it away. Which gives me about 8.5" of wheel travel in the rear. Front is much less interesting, as it turns out the fully relaxed stock strut with a 30mm spacer on top already maxes out the droop on the front control arm (21.125), but my target ride height should still sit comfortably above that. Current front ride height is 17.125, curiously only 1" above stock 16.125, should be closer to 1.25". Maybe my front springs are a little worn out. This leaves me with about 6.75" of wheel travel in the front, but without a modified control arm that will drop further, that number will have to work for now. I'm aiming for 2.5" of lift, which should work fine in the front, but the rear can handle 3" easily. This should get me to 18.625 and 19.625 front and rear. That would be about a 4" gap from the fenders in the front and a 5" gap in the rear on the current setup. Considering the most nuts Subaru long travel build I've seen was about 10-11" of wheel travel, under 7" is a little lackluster. I could get another inch or so with control arms, and maybe cut a little further above the front fender and probably match 8.5". Of course I'm sandbagging the uptravel by about 1.5" by crunching the numbers on 33's rather than the 29.5's I have now. I could easily go for 10-11" rear and 8-9" front but I want to be realistic and leave myself open for future mods. That will be sick with 33's. If you want to pop curbs. haha. Get the RS lower control arms. A lot more beefy. If you have a 6 speed or FWD CVT. Last edited by Macgyver; 04-01-2019 at 08:08 PM. 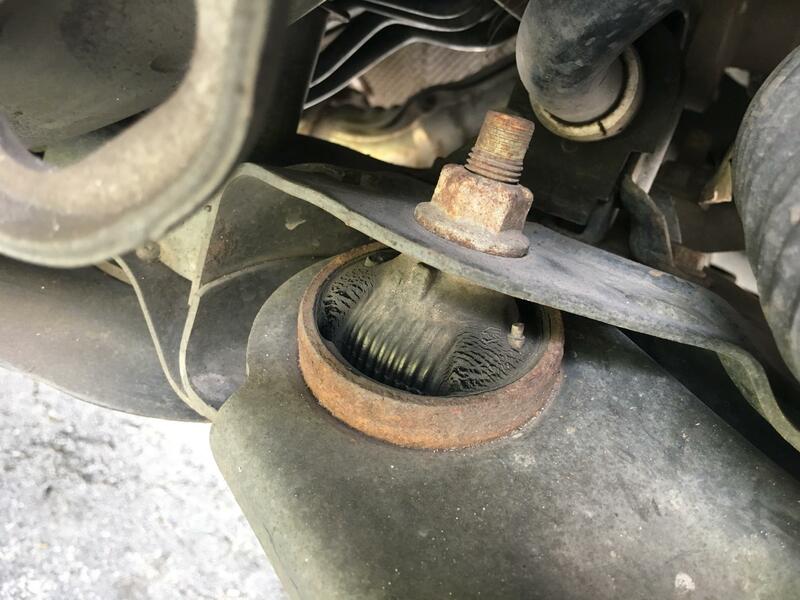 Are you not running into lack of power from a stop? Hell with 225/60/17 on mine juke right now, before it warms up, it barely has power to reverse out of my driveway. lol. He said it rolls great. Yeah she's still plenty fast, as a Juke should be. It's one of the reasons I haven't touched anything under the hood yet because I haven't felt like I needed to. Also I live in hot as hell Florida and it takes 15 seconds to reach operating temp. So Silver's got back to me and I feel real dumb, lol. I had it in my head right that there should be about a 30/70 split between uptravel and downtravel but I had the two totally flipped, but that explains why I came up with spring rates and shock travel numbers that made absolutely no sense. 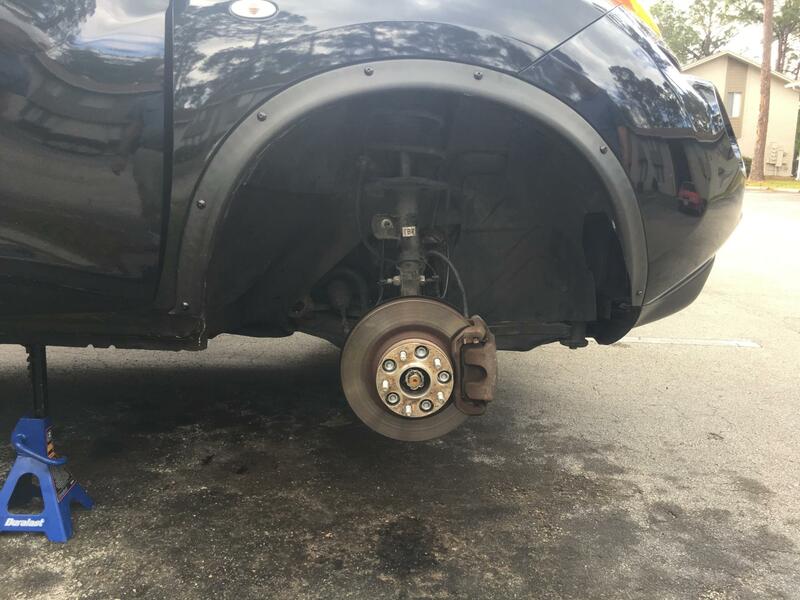 Just because the wheel can move 7" between the fender and full droop, doesn't mean it will if I set my ride height at 2.5". Calling the lift "long travel suspension" is a big misnomer at this point, because by lifting it up, I'm actually decreasing the amount of downtravel the suspension components can use, which would negatively effect my uptravel as well. So at the moment I'm kind of torn between settling for a less-than optimal (possibly even less than stock) amount of travel to get to 2.5" or weigh my options in modifications to gain more suspension travel. Looking at the stock strut now, it actually makes good use of the control arm's travel already. With the 30mm spacer on top, the point of droop is already where the control arm naturally wants to rest. I can push down on the control arm and get it to move about another half inch or so more, but that would put a lot of stress on the bushings, and it's only going to take so many full extensions before those begin to fail. 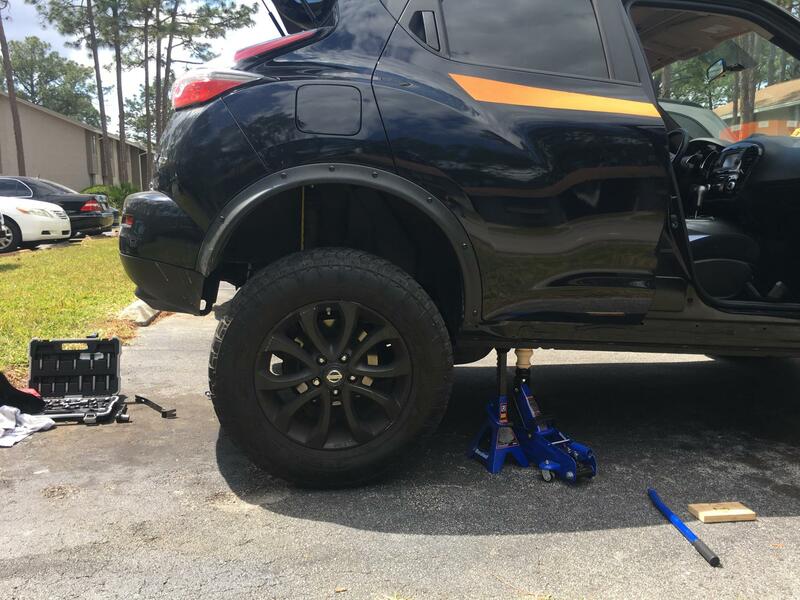 That's about 1.5-1.75" lift before the travel will have to be limited to less than stock. Also, as the control arm pivots further down I can run into weird camber, toe characteristics and possibly encounter some binding of the CV joints which would not be good. Another theoretical option is to put a body lift on the subframe, but that would entail relocating the entire drivetrain; the entire engine, two-piece driveshaft and rear differential. It wouldn't get me more ground clearance, just more travel, so it's hard to decide whether it's worth the effort. It also strays away from the spirit of the build I think, I could body lift it as high as I want and make it a monster truck, but at that point you could just put the body of a Juke on the frame of a completely different vehicle. I feel like the Juke platform still has a fair shot at offroading. I suppose a hybrid of the two, changing the mounting points of the control arm to achieve long travel, but that would still require extensive modification to the subframe, and I'm still trying to decide "how far is too far"
Mostly just thinking' out loud here. This is also a great opportunity for me to be a guinea pig on an "ideal lift" setup so that I can give my feedback to Silver's and if someone else on the forum wants it then Silver's can offer the same spec coilovers no questions asked. I think I'll drop the strut one more time tomorrow and double check the amount of deflection the control arm can handle, I was fairly reserved when testing it the other day, so there's a chance it can handle more and I'm not aware of it. So its basically the ball joint limiting the lift so to speak ? Well it's a lot of things limiting the lift, but it's mostly just the front control arms, but more specifically the bushings. The ball joint seems fine. Although when I dropped the knuckle out and tested the control arm deflection I was able to push it down about an inch farther than what I had initially guessed at, so that's one extra inch of downtravel, so it's looking real good like I can get two inches of lift AND better than stock suspension travel. I'm sending out my updated info tonight and hopefully Silver's should have a technical document and design drawings for me to approve early this week. And once it's approved they should be built and shipped in just under two weeks. 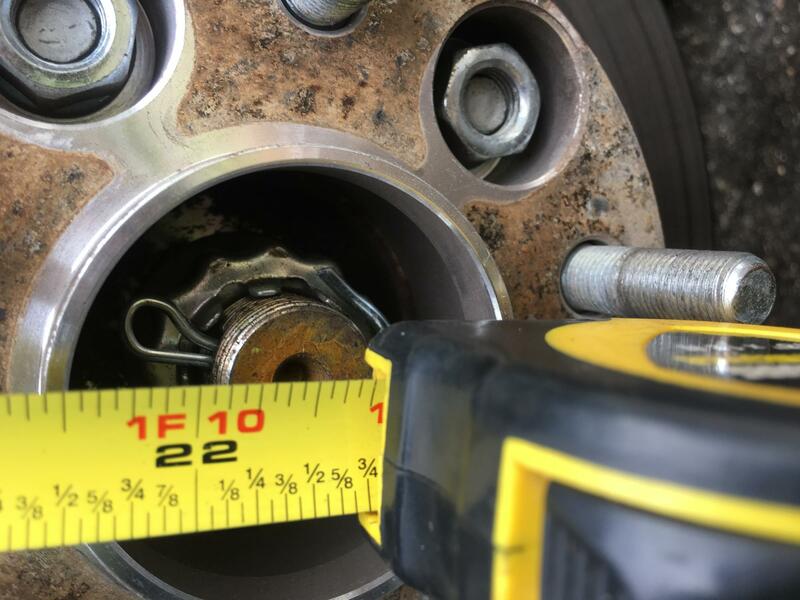 I measured a stock Juke distance from the fender to the center of the wheel at 16.125", so with the control arm deflecting to 22.5" should easily give me a two inch lift and plenty of travel to spare, so about 4.5" of downtravel for a total of 6.5" of total travel, which I think is pretty damn respectable for a compact car. For comparison, the stock struts only drop about 3.5" from ride height, so I believe the stock travel is about 5" or less. Technically speaking, if I went down to 1.5" of lift I could almost reach 7.5" of travel, or if I stay at 1" (basically the same lift I have now) I could have 8" of travel, BUT I would surely have to cut my fenders to clear the tires. Really though, the amount of choice I have in this is mind-boggling, and I'm wondering if Silver's offers to rebuild coilovers so I could try out a different setup in the future. For now though, I think I will stick with 2" lift 6.5" travel for the trial run. 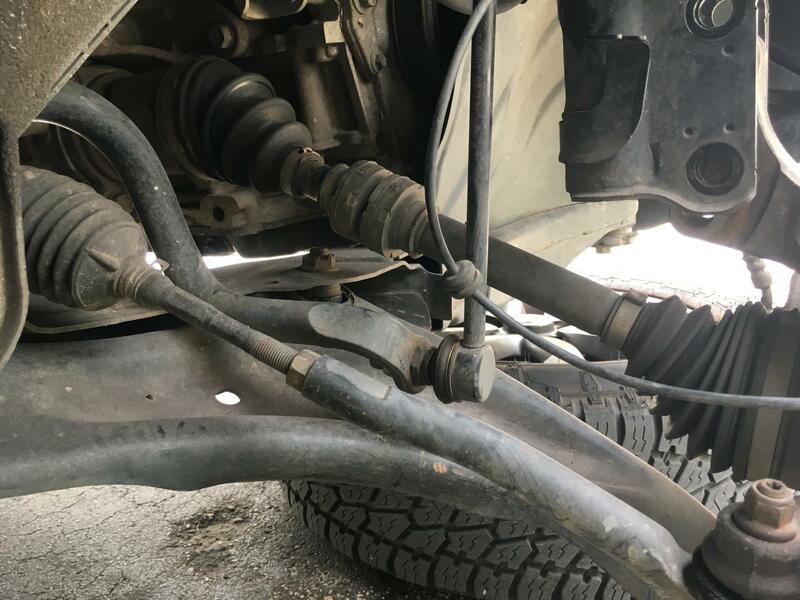 Check out Keoke's control arms for sale and look at their ball joints.